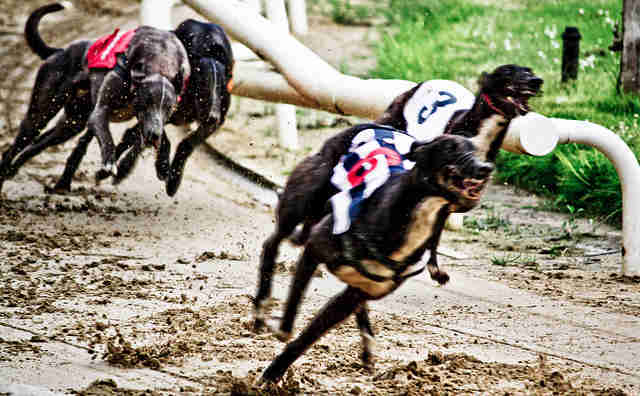 Dog racing will soon be a thing of the past in one of the states that still plays host to the cruel form of entertainment. On Wednesday, the last remaining dog racing venue in Texas, called Gulf Greyhound Park, announced plans to shutter its track at the close of the year - effectively bringing an end to what has been one of the most disturbing chapters of animal mistreatment in the state's history. Now, hundreds of dogs who faced severe injury and death by being forced to race at the track will soon be given the chance at a better life as beloved pets. This decision comes after more than a decade of campaigning on the part of the GREY2K USA, a group dedicated to ending dog racing throughout the country. "We've been working for several years to close down this last dog track, so this is extremely welcome news, and proof that grassroots campaigns really do work," GREY2K USA president Christine A. Dorchak told The Dodo. "Gambling on dog racing is just crumbling so drastically. The gambling facilities want to close the tracks to save dollars, and we want to save dogs. It's good news for everybody." The announced closure could not have come too soon. Gulf Greyhound Park has been considered one of the worst tracks for dogs in the United States. Between 2008 and 2014 alone, more than 2,300 greyhound injuries were reported. In that time, 108 greyhounds died or were euthanized. "Terrible things were happening to these gentle hounds," said Dorchak. 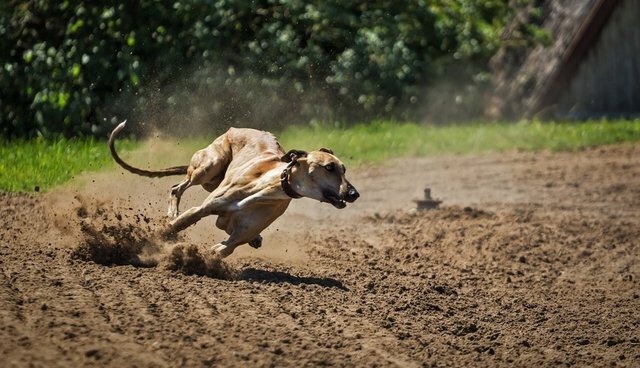 Elsewhere, dog racing is slowly on its way out as awareness has grown about the dangers of the industry, including the cruel practice of live baiting. In 2001, there were 49 dog tracks operating in 15 states. Today, with this recent announcement, there will soon be 19 tracks left in 6 states. Best of all, that's meant countless greyhounds have been given the chance to retire. "Viewing these dogs as racing machines just doesn't fit with modern times," Dorchak said. "Just like any other dog, they deserve to be loved, to be in a good homes in soft beds, not in cages." To learn about adopting one of the many dogs set to be retired in Texas, visit Greyhound Rescue Austin or the Texas Adopt a Greyhound Society. 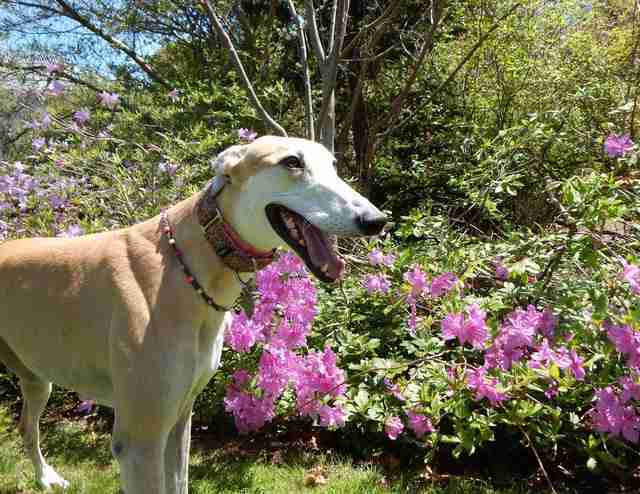 Here are just a few greyhounds who won the ultimate prize: freedom.